This is one of those awe inspiring treks simply because of the the great views of mountain peaks that it guarantees. This is certainly one of those exhilerating treks that capture one’s attention right from the start as one makes gentle climbs to ridges that command great vistas for the weary eye. We begin from Kathamandu and then move to Pokhara. From Pokhara we walk towards Syauli and being this wonderful trek. Moving across Ghandruk alongside the views of the majestic Annapurna Range you will be completely captivated in awe all through this amazing journey. We return back to Pokhara and then relax in this scenic city. Expenses incurred due to mishaps, landslide, strikes, political unrest etc. in such case extra. Day 01Kathmandu Arrival Welcome to Nepal. You will meet our representatives at the Airport and then you will be transferred to the hotel. After the arrival, the group will be formally introduced to Guide for the activities over the next few days. One should pay attention in particular to the safety aspects of the briefing. If you have any questions or doubts about your trip, then they should be asked and clarified at this time. Overnight stay at the Hotel. Day 02Kathmandu sightseeing tourAfter breakfast, you will then embark on an interesting tour around Kathmandu the city. Being escorted by an English speaking guide (we can provide any language speaking guides on your request), you will visit around the temples and the monuments, enjoying and learning about the culture and heritage of our country. In our sightseeing tour we go to Bouddhanath Stupa, Swayambhunath Stupa and Patan Durbar. Swayambhunath Stupa: Swayambhunath Stupa is situated 6.5 kilometers west of Kathmandu, this great temple is just on the outskirts of Kathmandu. No one actually knows who built it. Many believe that the Lichavis constructed it while others believe that emperor Asoka had already visited it in the 3rd century. The Swayambhunath complex consists of a giant Stupa, a large ensemble of shrines and temples, and also includes a Tibetan monastery, a museum and a library. This site has two access points: a long stairway, claimed to have 365 steps, leading directly to the main platform of the temple, which is from the top of the hill to the east; and a car road around the hill from the south leading to the southwest entrance. The first sight on reaching the top of the stairway is the Vajra. Day 03Fly to Pokhara and drive to Nayapul then trek to Syauli (1220M) On day three, you will take a 30-minute flight to Pokhara from the domestic terminal of TIA in Kathmandu. The flight is enjoyable as you can see great views of mountain peaks during the flight. After landing in Pokhara, we will then drive to Nayapul, located 42 kilometers from the city. 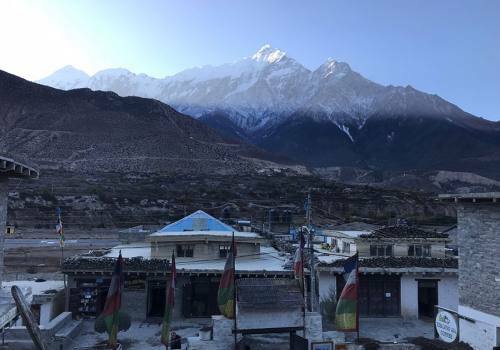 From Nayapul, you will start walking along the Modi Khola River valley to Birethanti, a large village in the Annapurna region which used to be the hub of trade with Tibet in the past. We shall pass through a check-post here and after that we walk across terraced fields of Chomrong to reach the small village called Syauli where we will stop for the night. 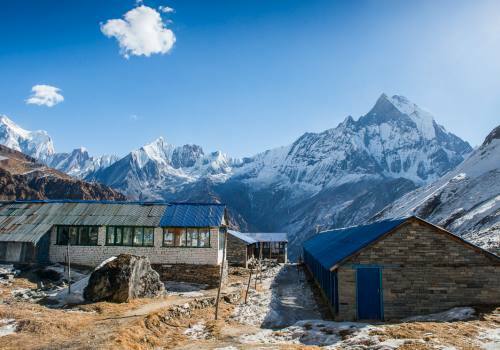 The village commands beautiful views of the grand peaks of Annapurna South and Machhapuchhare which can be seen to the north right at the entrance of the Annapurna. Day 04Trek from Syauli to Ghandruk (1950M) Today the trekkers will be making a steady ascend first on a stairway made out of stones. These steps will take us high above the river valley from Syauli. 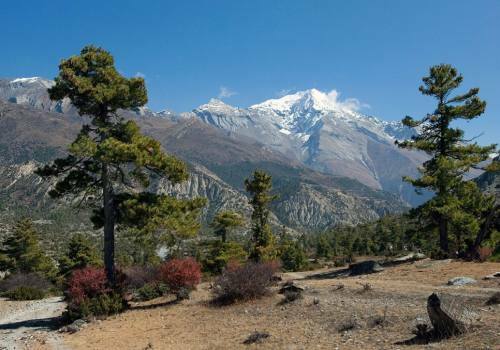 To the north, the Annapurna range stands magnificently. A short steep walk takes us to Kimche situated at a height of 1630 meters. We will then continue towards Chane. Beyond Chane, the trekkers will reach Ghandruk, the largest village in the area. This village is primarily inhabited by the Gurung community. We will stop here for the night. Day 05Trek from Ghandruk to Tadapani (2650M) From Ghandruk, we will make a little descent from the ridge and once you reach a stream flowing past it’s an uphill climb. We then walk through the forest of Baisi Kharka and then you will continue walking upwards until you reach Tadapani (2710mt). Tadapani literally means “far water” and you will see just why, when you go a little below the village. There is a water supply system here and fortunately now the pipes are available to reach water to distant places. It will take around four hours to accomplish this trek. Day 07Trek from Deurali or Ghorepani to Poonhill and Ulleri (2070M) Today we trek from Deurali or Ghorepani to Poonhill (3180m.) and then to Ulleri. 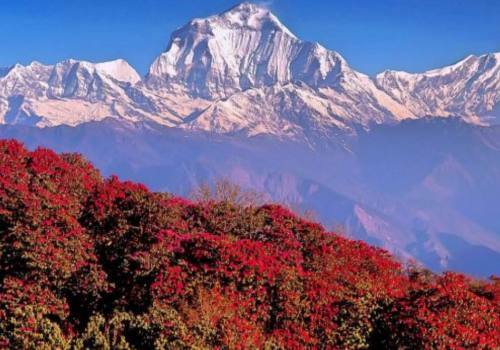 Poonhill is the spot to view the majestic panorama of the Himalayas. Early morning, we start our trip to Poonhill (3180m.) to enjoy the sunrise view over Mt. Dhaulagiri (8167m. ), Tukuche Peak (6920m. ), Nilgiri (6940m. ), Varaha Shikhar (7847m. ), Mt. Annapurna I (8091m. ), Annapurna South (7219m. 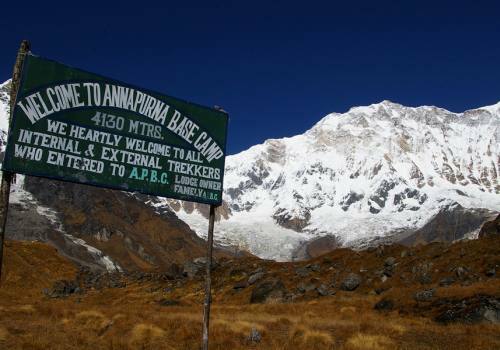 ), Annapurna III (7855m. ), Machhapuchhre (6993m. ), Annapurna IV (7525m. ), Annapurna II (7937m. ), Lamjung Himal (6931m.) and numerous other snowcapped mountain peaks. You can also see the magnificent Kali Gandaki ravine and the trans-Himalayan ranges forming which stands at the border of Nepal and Tibet. Later we will move down to Ghorepani and after breakfast we will keep descending for quite sometime until we reach the village of Naya Thanti where we will stop for lunch. In the afternoon we will again have to move down across a dense growth of oak and rhododendron and reach the village of Ulleri hovering tall on the hillside that overlooks the Bhurungdi Khola valley. This trek will take us about 6 hours. Day 08Trek from Ulleri to Nayapul and drive to Pokhara Today we first head for Nayapul. The trek is relatively easy and a mere 3 hour walk will take us to Nayapul. From here we will drive back to Pokhara. Barahi Temple: The Barahi temple is the most important monument in Pokhara. Built almost in the center of Phewa Lake, this two- storied pagoda is dedicated to the boar manifestation of' Ajima, the protesters deity representing- the female force Shakti. Devotees can be seen, especially on Saturdays, carrying male animals and fowl across the lake to be sacrificed to the deity. Day 10Fly from Pokhara to Kathmandu In this morning you will fly back to Kathmandu (25 Minutes). Arrival and transfer to hotel. In evening leisure, overnight stay at hotel. Day 11Final Departure After breakfast you will have some free time until the time to leave the international airport for your final departure.